Fat Quarter Shop is starting an amazing giveaway today. Bernina has given them a “Hello Lovely” Cotton + Steel B350SE sewing machine to give away, MSRP $1,899! The giveaway will run through Tuesday, July 25, and the winner will be announced the following day. Entries will be taken via the Rafflecopter widget on this post, which will go live tomorrow after 1pm CST. Experience the Houston International Quilt Festival with ECT Travel; last-minute bookers are welcome to join ECT’s 2017 tour, or early birds can register for 2018 by contacting sofia@ecttravel.com. Fly from London Heathrow or Manchester, or choose the land-only package. 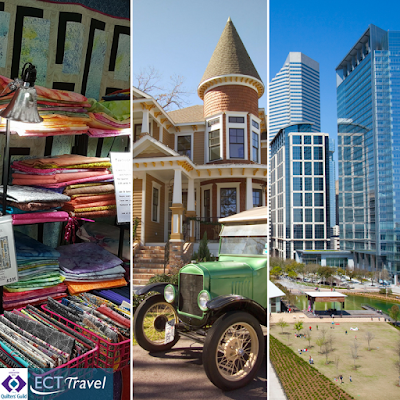 With seven nights staying in downtown Houston, this is an excellent opportunity to see all that America’s fourth largest city has to offer. Quilters Guild members get discount, too! New in stock at Elephant In My Handbag is Twist is - latest basic from Dashwood Studio... useful basic fabric that can be used for a wide range of projects. 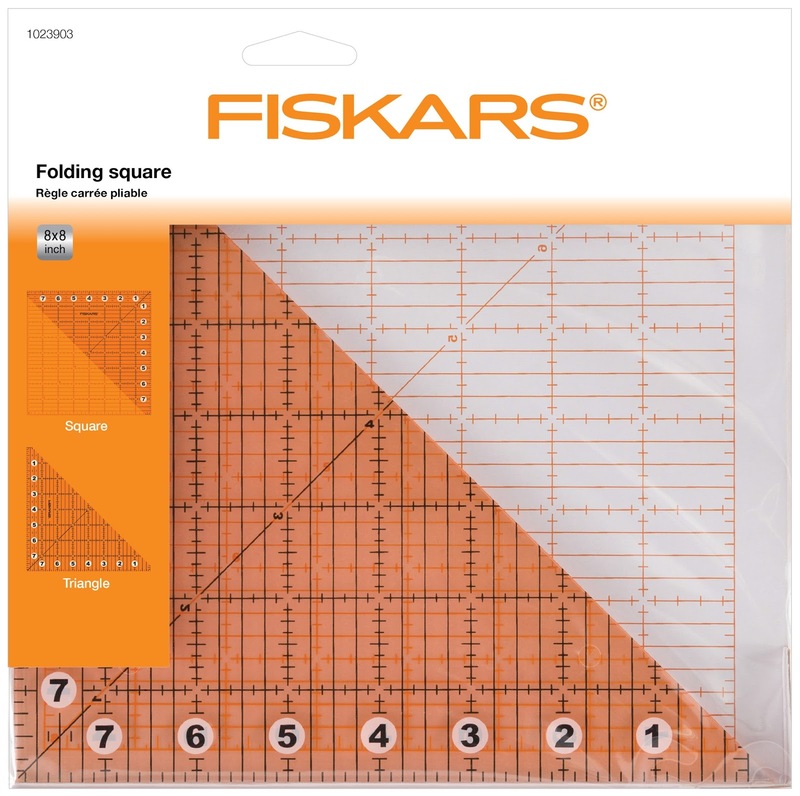 Thanks to its smart folding design Fiskars Folding Square, £15.49 can be opened as a square or easily transformed into a triangle. Square off corners and cut half-square triangles, rectangles or squares from 1" to 8" without wasting fabric. Markings feature clear intersections for enhanced visibility and can be read on light, dark and patterned fabrics. 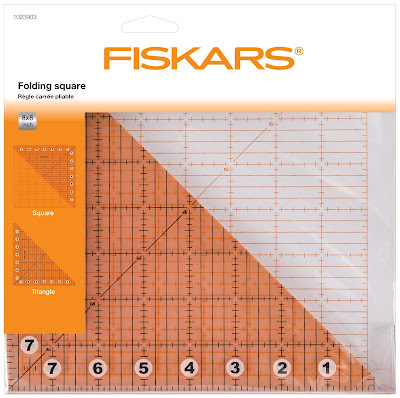 More information at www.fiskars.co.uk. I love Fat Quarter Shop! Awesome. Love Fat Quarter Shop. Love Fat Quarter Shop. I keep tring to win one of your give aways, you have nice ones. I so love what I can always find at fat quarter shop! 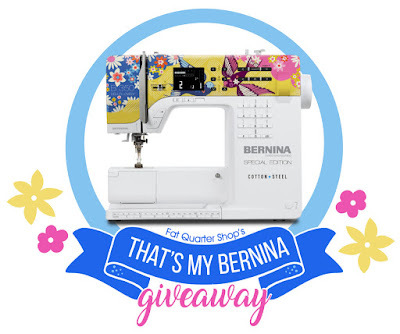 This bernina would be amazing for the students I teach to use in my classroom! !